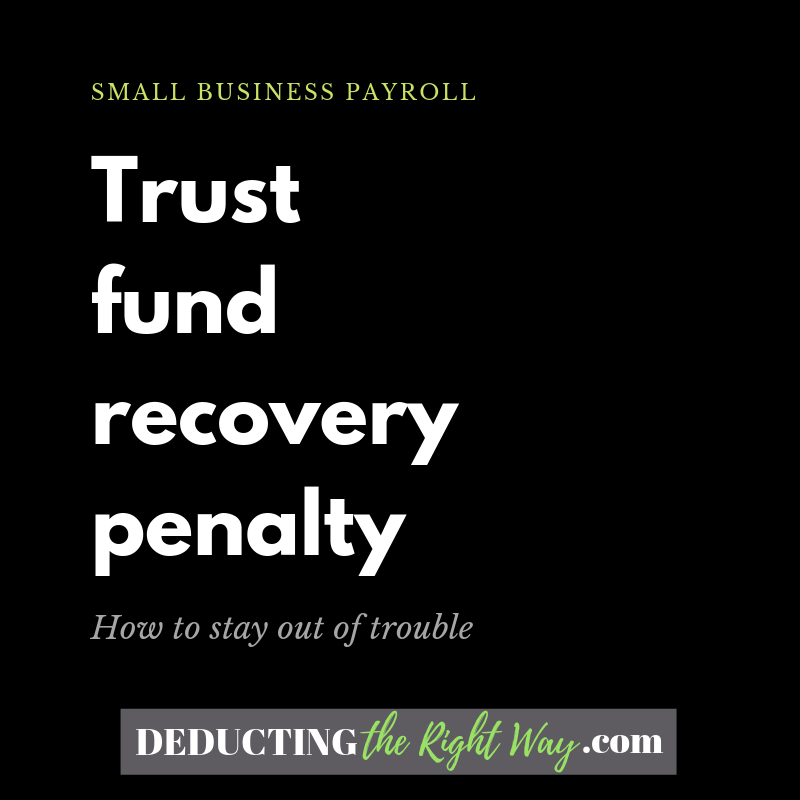 When you are an employer, you must deduct federal withholding and state payroll taxes from an employee's gross wages each time you run a paycheck. The rest of the check is the employee's take-home pay (if there are no additional deductions). See Notice 1036 for the IRS withholding rates. The government owns the payroll taxes you hold back from an employee's pay. The money is in your care before you send it to the government (you keep it in trust for them). The funds are not yours so you cannot use the money to pay your other bills (business or personal). When you don't submit the payroll tax by the deadline, then you incur interest and penalties, see IRS Pub 15. Are you curious to know how quickly it adds up? Check out an example from McClendon v. U.S. (a doctor triggered over $4 million in penalties for years of unpaid payroll taxes). You'll receive a notice in the mail with the amount of unpaid payroll taxes and additional fees. If you do not pay the amount by the due date, then the IRS (or state tax department) can place a levy on your business account(s) and assets. TIP: Depending on your payment history, you can enter an installment agreement to avoid a delinquent status. What happens if I don't comply with the rules? Your payroll tax account lists a responsible party which is typically an owner of the business. 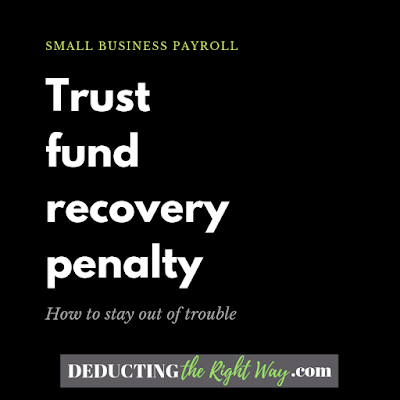 The government will attempt to collect the funds from this person before moving on to other people who exercised control or management over the tax monies (e.g., bookkeeper, payroll processor, officers). TIP: The IRS can have your U.S. passport revoked if the balance is $50k+, and many states are suspending driver's licenses, making it crucial to comply with your small business payroll obligations.